Bitcoin Price Forecast: What Is The Future Of The Cryptocurrency? Any Bitcoin price forecast has been fraught with uncertainty, as the meteoric rise and fall of the cryptocurrency platform has made media headlines all over the world. There are hugely differing opinions on the future direction of Bitcoin, with some suggesting that the digital payment platform has massive upside potential, and others believing that Bitcoin does not represent a store of value, and will decline much further yet. However, even the harshest critics of the cryptocurrency have generally accepted that Bitcoin will remain part of the financial architecture for years to come. One financial expert who is bearish on Bitcoin, Peter Boockvar, concedes that the embryonic currency will be around for a long time, but predicts that it will decline in value significantly. Boockvar of Bleakley Advisory Group CIO suggests that the price could diminish so dramatically that Bitcoin is worth around $1,000 in the near future, with even with the optimistic estimate of the analyst being $3,000 per unit. Some have even suggested that the imminent collapse of Bitcoin will endanger the entire financial system, but Boockvar is sceptical about this possibility. “I think we have to look at it more broadly in the sense that the central bank bubble manifested itself in many different places and just recently cryptocurrencies. So cryptocurrencies roll over and collapse, then maybe that’s a sign that the risk-taking attitude of investors is changing. Maybe that’s because of monetary tightening that intensifying this year. 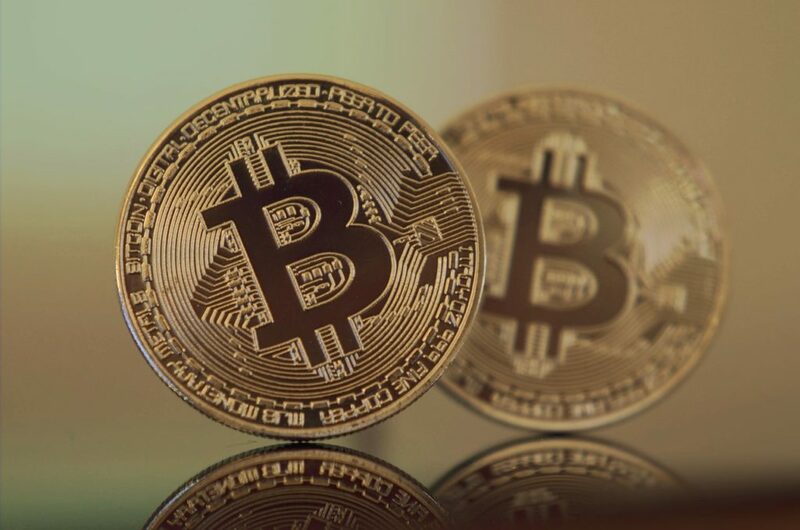 I don’t see it having a major impact if the price of Bitcoin continues to decline,” the analyst told CNBC. However, not everyone is bearish on Bitcoin. The fact that Bitcoin futures are now part of the financial architecture is considered by many to be a major upside for the cryptocurrency in the foreseeable future. This has led some to make an optimistic Bitcoin price forecast, particularly as Morgan Stanley has now announced its intention of clearing Bitcoin futures for its clients. Morgan Stanley joins Goldman Sachs, TD Ameritrade, E*Trade and others in clearing CME and Cboe in satisfying Bitcoin futures. It is this relative acceptance by the mainstream financial establishment that has led many to be positive on Bitcoin price forecast. This is despite the fact that the creation of regulated Bitcoin futures has not been universally acclaimed by the Bitcoin community. Nonetheless, the involvement of more Wall Street firms clearly adds legitimacy to the fledgeling digital currency. One positive Bitcoin price forecast related to this comes from Coinbase CEO Brian Armstrong, who suggests that institutional investors will rapidly sink $10 billion into Bitcoin as a result of the futures market. This should have a positive impact on the value of the cryptocurrency, and could lead to another breakout performance from Bitcoin in 2018, even though its value has already declined around 40 percent. Nonetheless, the fall in the value of Bitcoin in the early weeks of 2018 has undoubtedly spooked some investors. This led to one particularly scathing Bitcoin price forecast from Jeffrey Robinson. The author likened investing in Bitcoin to gambling, although it should be noted that Robinson has been a vocal critic of the cryptocurrency. “It’s a bubble. It’s a loaded roulette wheel. You’re better off in Vegas. The food is better,” Robinson facetiously asserted. Robinson blamed media hype for the dangerous bubble that Bitcoin is in currently. There are also further factors which are bearish for any Bitcoin price forecast over the next few years. Firstly, financial watchdogs in Europe are passing significant legislation which will impact on Bitcoin, and indeed the entire cryptocurrency niche. This follows on in the back of similar regulations in East Asia, which have already begun to impact on the price of Bitcoin. Secondly, the incredibly rapid escalation in the value of Bitcoin over the last few months has obviously led some people to claim, with seeming legitimacy, that Bitcoin is in a bubble. It is worth remembering that at the beginning of 2017, Bitcoin was worth only $1,000 per unit, and is currently trading at over $11,000. And this follows a quite significant correction in the Bitcoin price. With regard to the first of these factors, major countries in Europe are now pushing for explicit Bitcoin legislation. French Finance Minister Bruno Le Maire stated that France wishes to “avoid the risks of speculation or possible financial traffics linked to Bitcoin”. In such a climate, it is difficult to make a bullish Bitcoin price forecast. But many are still positive on the future of the cryptocurrency, particularly considering that there will only ever be a finite number of Bitcoins mined. Once twenty-one million Bitcoins are in circulation, the cryptocurrency will only be used as a unit of exchange, and this has led advocates of the cryptocurrency to make the positive Bitcoin price forecast that its value will inevitably head northwards, despite recent corrections. The future of Bitcoin is certainly shrouded in doubt, and the innovative and revolutionary nature of the cryptocurrency is bound to bring scepticism among both the authorities and traditional investors. There is also a good deal of ire among those who have missed the spectacular investment opportunity that the early phases of Bitcoin represent, with the value of the cryptocurrency having increased literally tens of thousands of fold from its launch price. One Bitcoin price forecast that can be made with confidence is that this most spectacular investment opportunity will continue to make headlines for the foreseeable future.